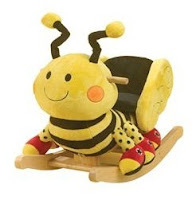 Rockabye Rockers up to 46% Off + New Members Get $5 Credit! My son has one of these (the giraffe) and he LOVES it! Unfortunately, I paid full price for it, a whopping $140! I have to say though, it really was worth the money. 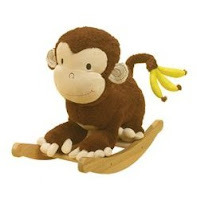 There is a Rockabye Rocker sale going on at Modnique for the next few days where you can get these fun, adorable rockers up to 46% off. That $140 rocker I bought is only $75 right now! There is a very nice selection to choose from, with cute styles such as a pirate ship, princess carriage, baseball glove, fire engine, ladybug and many more! If you're a new Modnique shopper, you'll get $5 in instant credit when you sign up, letting you save even more!